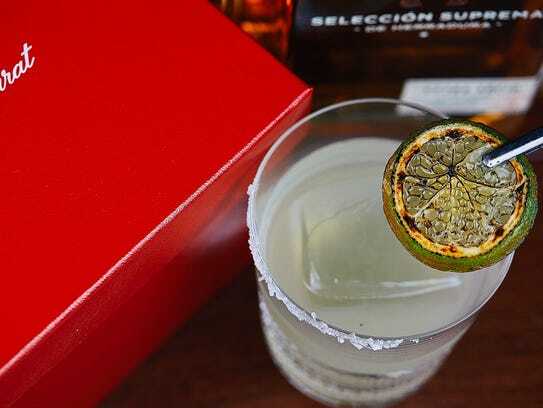 Theres a few good ways to celebrate the often-misunderstood Mexican holiday of Cinco de Mayo. Drink up$1 margaritas, load up the plate with $2 tacos and take advantageof other discounts. Cinco de Mayo recognizes the Mexican armys 1862 victory over France but its not considered a Mexican federal holiday. It’s also not Mexico’s independence day, which is celebrated Sept.16. For most Americans, May 5 isn’t really about history, but a good excuse to consumeMexican food, drinks and culture. This year, Cinco de Mayo doesn’t stand alone. Saturday also is the Kentucky Derby and National Hoagie Day so some deals have an added twist. Brad Plothow, vice president of brand and communications for Womply, a small business software provider, said Cinco de Mayo is a huge sales day for local restaurants. The company recently analyzed sales at 26,000 small, local restaurants for 2017. Cinco de Mayo ranks ahead of Valentines Day, New Years Eve and St. Patricks Day for restaurant revenue, Plothow said. These deals are available at participating restaurantsnationwide. Check with your closest location to confirm participation. Abuelos: Saturday specials include $5 Mexican draft beer, which comes in a free 22-ounce plastic cup, and a $6.95 Flag Margarita sold in a souvenir dome cup. Applebees: The chain has extended its $1 margarita special, also known as theDollarita, through Saturday.Also participating locations are celebratingfor the month of May with Margs de Mayo margarita specials, which include $3 House Margaritas, $5 Mucho Margaritas and $2 Dos Equis. Bahama Breeze: This Cinco de Mayo deal starts early. Through Saturday, classic margaritas are $5. Offer not valid in Ohio and Virginia after 9 p.m.
Baja Fresh: Members of the Club Baja email club will get an email Saturday with a coupon for free guacamole and churros with catering orders of $50 or more. Sign up for the New members get a coupon for a free taco with purchase by signing up at www.bajafresh.com/clubbaja. BJs Restaurant & Brewhouse: Through Sunday, buy oneentr茅e and two beverages, and get a secondentr茅e half off with a coupon posted on the restaurants website. Blue Moon Mexican Caf茅: There will be giveaways Saturday including Patron, Corona, Lunazul and Blue Moon Cinco De Mayo T-shirts. All locations will have a mariachi band from 6 p.m. to 9 p.m.
Bokampers Sports Bar & Grill: On Saturday, all locations will have the signature 24-ounce Bos Big Rita for $18.99. Bostons Restaurant & Sports Bar: The restaurant will have a Kentucky Derby drink called the Derby Mule Saturday. Bubba Gump Shrimp Co.: Get$1 tacos and $4 Corona Extra bottlesin the bar and lounge area at participating locations Saturday. Limit five per person. Buffalo Wild Wings: On Saturday and Sunday, select locations will have $3 regular domestics and $4 Sharables. Plus, get mint juleps for the Kentucky Derby Saturday. Burger Boss: May is National Burger Month and the growing California chain is giving away free fries with any purchase when you sign up for the Burger Boss eClub at www.burgerboss.com. California Pizza Kitchen: The chain will have $5 Agave Lime Margaritas Saturday. Chili’s: Get $5 draft beers,Presidente Margaritas and Tequila Trifecta Ritas Saturday. Also with the My Chilis Rewards program, get free chips and salsa or a non-alcoholic drink on every visit. Sign up at www.chilis.com/rewards. Chipotle Mexican Grill: Get free delivery on orders $10 or more with promo code GETCHIPOTLE on app or website orders. Delivery through DoorDash is available in 800 cities. Learn more at www.chipotle.com/doordash. Chipotle also has a deal on catering through June 15. Place a catering order of $400 or more and get a $40 gift card. Learn more at www.chipotle.com/springcatering. Chuys: The Tex-Mex chain starts celebrating 4 p.m. Friday with $1 off Coronas and floaters, drink specials Saturday and $5 Titos Bloody Marys Sunday. The Coffee Bean & Tea Leaf: The coffee and tea chain is celebrating Cinco de Mayo with horchata lattes. From 2 p.m. to close Friday through Sunday, get the horchata latte or the Matcha Horchata Latte for $1. Condado Tacos: Get $1 off house margaritas Saturday and with purchase of a shot of Sauza Hornitos Plata be entered in an in-restaurant raffle for a chance to win a $1,000 gift card and additional prizes at the Midwest taco chain. Del Taco:The chains eClub members will get a coupon for a free Carnitas Street Taco with any drink purchase Saturday. If youre not a member, sign up for the free program by Friday at www.deltaco.com/ravingfanto get the coupon and youll also get a coupon for two free Grilled Chicken Tacos. DMK Burger Bar: The Chicago-based restaurant will have a Churro Milkshake and Cinco de Mayo burger Saturday. Duffys Sports Grill: The weekend-long promotion runs Friday through Sunday and deals include three crunchy beef tacos for $7.99, $3 Sauza and $7 Patron margaritas. El Fenix: Get $1 margaritas all-day Saturday. $5 Fiesta Pizza – Smoky. Savory. Spicy. DELICIOUS! Enjoy our NEW Fiesta Pizza for just $5 this weekend. El Pollo Loco: Take $10 off 24-piece catering meal or $20 off a 48-piece meal Friday and Saturday with coupons at www.elpolloloco.com/promotions. Plus, Loco Rewards members get double points on any purchase May 5. El Torito: The California-based chains Cinco de Mayo celebration runs Thursday through Saturday with food and drink specials. Firenza Pizza: Friday through Sunday, the chain will have a 10-inch specialty pizza, the Fiesta Pizza, for $5. Flemings Prime Steakhouse & Wine Bar: Friday through Sunday, the upscale steakhouse has a $100 Prime Margarita. Hard Rock Cafe: Now through Sunday, get a Rockin Fresh Rita for $5 by saying the secret word rockin when ordering the drink at participating locations. Hot Harrys Fresh Burritos: All six locations will give away shirts to the first 100 customers Saturday and mini chicken and beef burritos will be $4 all day. Plus, customers Saturday can enter a contest to win a free burrito each week for a year. Houlihan’s: Saturday is Derby de Mayo and participating locations will have specials including $8 Fish Tacos, $5 Boozy Marg Pitchers and $5 Angry Ros猫 Rita.Plus, there will be a contest Saturday for a chance to win a $5 Spot Happy Hour, valued at $75. Hungry Howies: Now through Saturday, get large one-topping pizzas for $5.55 each with purchase of two and promo code CINCO18.This deal is foronline carryout ordersat participating locations. Not valid in Florida. Hurricane Grill & Wings: Get $3 tacos, tequila shots and Corona bottles and $5 Hurricane Margaritas at participating locations Saturday. Joes Crab Shack: This Saturday fiesta includes tacos, Patron Margaritas and $20 buckets of Modelo Especial. Cinco de Mayo is our day, so don't miss out on all the fun we have planned! Kings Dining & Entertainment: The bowling alley chain is combining Cinco de Mayo with the Kentucky Derby Saturday with special Mint Julep Margaritas, a Derby Race Contest with a $100 reward and more. La Salsa: The chains eClub members will get an email Saturday with a coupon for free guacamole and churros with catering orders of $50 or more. Long John Silvers: Through Sunday, get a Baja Fresh Taco for 99 cents with a coupon posted on the chains Facebook page. Lyft: The ride-sharing service has teamed up with Tostitos and Sabra Guacamole. For a limited time, pick up specially-marked Tostitos bags and Sabra Guacamole packs with the Lyft logo, which contain a code for up to$10off a ride. Margaritas Mexican Restaurant: The chains celebration started early with daily specials through Saturday including Take Flight Friday, which includes a flight of four margaritas for $10. On Saturday, get $5 Hornitos shots, BFast Burritos and the Temple of Bacon. Learn more at www.margs.com/cinco-2018. Marie Callenders: Get $4 margaritas and $6 Ultimate Margaritas Saturday at participating locations. Millers Ale House: Celebrate with the chains new southwestern eggrolls and a bucket of three Sol Cervezas for $9 or a pitcher of House Margaritas Thursday through Saturday. Moes Southwest Grill: Cinco de Mayo is Cinco de Moe’s and free shirts will be given to the first 50 customers at every location while supplies last. Burritos also will be $5 at participating locations Saturday. On The Border Mexican Grill & Cantina: Get $5 Cinco Ritas and $10 Perfect Patron Margaritas Saturday at participating locations. There also are shot specials. National Hoagie Day is creeping up on us! May 5th, we will be celebrating with 3 of our favorite Primos. The Italian, Turkey & Cheese, and Ham & Cheese. Each for only $5.99!!! Pappasitos Cantina: Order a Reserva Rita Saturday and get it in a free commemorative glass, while supplies last. One per person. Perrys Steakhouse & Grille: For Cinco de Mayo, the chain debuts the Rita Ros茅 Ol茅, a cocktail incorporating a Mexican wine and a Mexican tequila. Primo Hoagies: Saturday also is National Hoagie Day and the Italian specialty sandwich shop will have select Primo-size hoagies for $5.99. PTs Tavern: The brewing company and its restaurants will have $3 Dos Equis bottles, $4 tacos and $5 Patr贸n margaritas Thursday through Saturday. RA Sushi: The largest nationwide sushi chain has two Cinco de Mayo combos Saturday. Get tacos and the Emperors Margarita for $12 or tacos or for $10 get tacos and a choice of a 22-ounce Asahi, Kirin or Kirin Light. Recovery Sports Grill: Get $5 house margaritas Saturday for Derby de Mayo. Red Robin: The burger chain has rolled out a new Strawberry Basil Margarita in time for the holiday and also has a Taco Tavern Burger Double for $6.99. Roccos Tacos & Tequila Bar: The seven Florida locations will all hold fiestas Saturday with drink specials, live entertainment, prize giveaways and free tequila pourings. Rock & Brews: Locations will have food, beer and cocktail specials Saturday. sweetFrog: Saturday alsois Cinco de Froyo and get a 16-ounce cup of frozen yogurt for $5.55. Taco Bueno:For a limited time, pick three select items for $2.99 including the chains party burrito, party taco, party quesadilla, party tostada or party nachos. Taco Cabana: The Texas-based chains Cinco de Mayo celebration runs Friday through Sunday. Get $3 margaritas, $4 frozen vodka raspberry lemonades, dozen flauta boxes for $9.99 and more. We're celebrating #Cinco all weekend long! This Friday – Sunday, May 4th, 5th & 6th, enjoy $2 Tacos and $2 Mexican Beers! Taco Johns: Cinco de Mayo starts early at the quick-service restaurant. Now through Saturday, get five beef soft shell tacos for $5.55. TacoTime: Crisp tacos are 79 cents each Saturday for Cinco de Mayo. TGI Fridays: For Cinco de Mayo, the chain is rolling out its new Blackberry Buzz Rita, which is a variation of Fridays existing Blackberry Margarita. Tijuana Flats: Get $2 tacos and $2 Mexican drafts Friday through Sunday at the Tex-Mex chain. Tupelo Honey: Through Sunday, get snack-sized pimento cheese nachos for a penny with the purchase of a signature cocktail or beverage. Must present offer to server through Privy or Tupelo Honey app, the companys website notes. Twin Peaks: Through Sunday, get $2.99 Cuervo Silver shots, $4.99 Patron Silver shots and $5 Mexican mules and margaritas. More deals:Locally-owned businesses also will have deals for Cinco de Mayo and the Kentucky Derby. One of the easiest ways to find specials is by checking social media accounts. Kelly Tyko is a consumer columnist and retail reporter for Treasure Coast Newspapers andTCPalm.com, part of the USA TODAY NETWORK. Follow her on Twitter @KellyTyko. Sign up for her weekly newsletter atwww.tcpalm.com/featured-newsletter/bargainistabest. This entry was posted in Stocks on May 4, 2018 by admin.